In vitro fertilisation, IVF macro concept. Greece is making its mark on the medical tourism map by offering innovative, high-quality services at competitive costs in a number of fields. Greece is fast becoming a competitive destination for in vitro fertilization, thanks to the combination of high-quality and innovative services at reasonable rates. Year after year, more and more couples from Europe, the USA, Canada and Australia are placing their trust in medical professionals in Greece to help them realize their dream of childbearing. Greece’s progressive IVF legislation is one of the main reasons why couples choose Greece as a destination. It allows anonymous and voluntary egg donation; the transfer of more than one embryo (depending on the age of the woman who is going to bear the pregnancy); embryo, egg and sperm freezing; prenatal checks; and surrogacy. In Greece, women up to the age of 50 are given the chance to become mothers, sperm donors can maintain their anonymity, egg donations are allowed and single women can seek a sperm donor, all factors that have contributed to the evolution of IVF-related medical tourism. 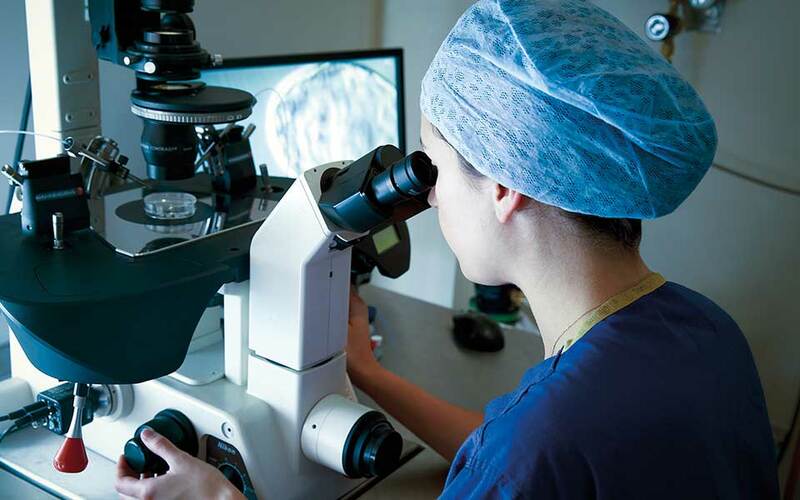 Greek IVF units operate under license from the Greek National Authority of Assisted Reproduction, which monitors compliance with legal requirements and Greek and European regulatory frameworks. Recently, the authority launched a program of detailed checks, aiming not only to reassure IVF candidates that they will receive a secure and reliable service but also to get a clearer picture of the current situation in the field of assisted reproduction in Greece. 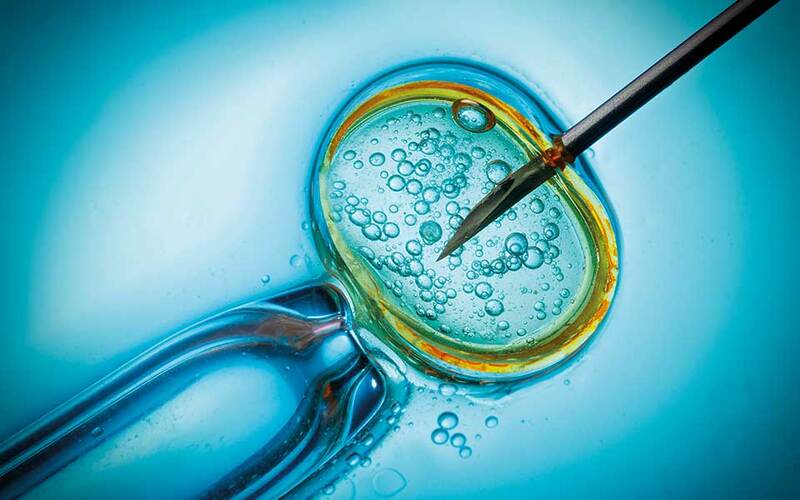 To date, the country has 46 licensed assisted reproduction units (departments of private or public hospitals, independent centers and individual medical practices) that provide IVF treatment, micro-assisted fertilization (ICSI, a method for treating male infertility), the transfer of cryopreserved embryos and egg donation. A technician injects human sperm into a human egg cell using a technique known as intracytoplasmic sperm injection. These units apply best practices and are staffed with trained specialist doctors and excellent personnel. They offer advanced services at a much lower cost than elsewhere in Europe. Another significant advantage is the speed at which treatment begins after the first visit to the unit. The process of sperm and egg donation is considered particularly swift in this country, given that in many other parts of Europe, it can take more than three months. Each one of these units has developed a “full-package” offer and is ready to assist couples with the financial aspects of the process. On average, a single IVF cycle costs in the region of €3,000, about one-third of the price in countries such as the United States. The fact that medicines in Greece are among the least expensive in Europe also helps contain costs. While most clinics are located in Athens and Thessaloniki, there are pioneering units on islands and in smaller cities like Larissa. A large unit in Crete, for example, has received roughly 200 couples from European, African and North American countries, as well as from places as distant as Australia and Sri Lanka. The couples remain on the island for 7 to 45 days in order to complete their treatment, combining their stay with a holiday. “The high percentages of pregnancies achieved in Greece, a country that ranks first internationally in many different areas relating to IVF, are also due to a reason that’s not medical: the country’s bioclimate. The sun and the quality of life on the islands, where the couples stay, improve well-being and boost positivity,” said Dr Konstantinos Pantos, secretary-general of the Hellenic Society of Reproductive Medicine and a member of the Medical Tourism Committee of Athens Medical Association. Information courtesy of Dr Aristidis Antsaklis, professor of Obstetrics and Gynecology at the University of Athens and president of the Greek National Authority of Assisted Reproduction, and George Sakkas, medical journalist. On average, a single IVF cycle costs in the region of €3,000, about one-third of the price in countries such as the United States. The diagnostic method developed by the Greek company Locus Medicus has revealed an important cause of male infertility, which prevents many couples from having children. The pioneering method examines sperm specimens for infectious microorganisms which are likely to either prevent conception or infect the fetus, resulting in miscarriage. However, both of these possibilities can be prevented by appropriate treatment, if the infection is detected. “Couples who’ve used IVF several times and suffered early miscarriages, were able to have children naturally, immediately after having received the treatment,” says one of the method’s two inventors, Vassilis Tsilivakos, histopathologist-perinatal immunologist and co-founder of Locus Medicus SA. The examination is becoming increasingly popular abroad, particularly in the UK, Ireland and the US, and Locus Medicus is about to announce a partnership with another European company to promote it further around the world. Physical Medicine and Rehabilitation is that field of medicine which aims to restore and enhance the functional ability and quality of life of those who have suffered strokes, traumatic injuries and acute illness, or are suffering from various chronic diseases, disorders, or post-operative conditions. Such rehabilitation entails interdisciplinary care to achieve improved health and deliver the higher quality of life that comes with that improvement. Thanks to state subsidies, Greece has experienced a surge of growth in this field since 2000, with many private rehabilitation and recovery centers being established around the country, most of them in the regions of Macedonia and Thessaly. They offer top-notch facilities staffed with highly competent and experienced doctors, therapists and nurses, implementing well-established techniques, as well as new clinical innovations, all supported by cutting-edge medical and rehabilitation equipment. Greek rehabilitation centers also stand out for their competitive prices. For a 30-day neuro-rehabilitation all-inclusive package, for example, an in-patient should, according to the Union of Rehabilitation Centers of Greece (EKAE), expect to spend around €9,900. This price includes use of the center’s facilities and rehabilitation services, full-board accommodation, transfers to and from the airport, special diet menus, laundry and ironing services, and much more. There are currently 19 major private rehabilitation centers in Greece, all following internationally recognized protocols. Their rehabilitation programs take into account patients’ individual needs and combine a wide range of services from the different specialties available: physiotherapy, hydrotherapy, occupational therapy, speech therapy, psychological support, nutrition and dietetics. State-of the art facilities, exceptional services and outstanding medical experience, powered by great prices and assisted by the Mediterranean climate and diet as well as the famed Greek hospitality, make Greece an ideal recovery spot for natives and foreigners alike. 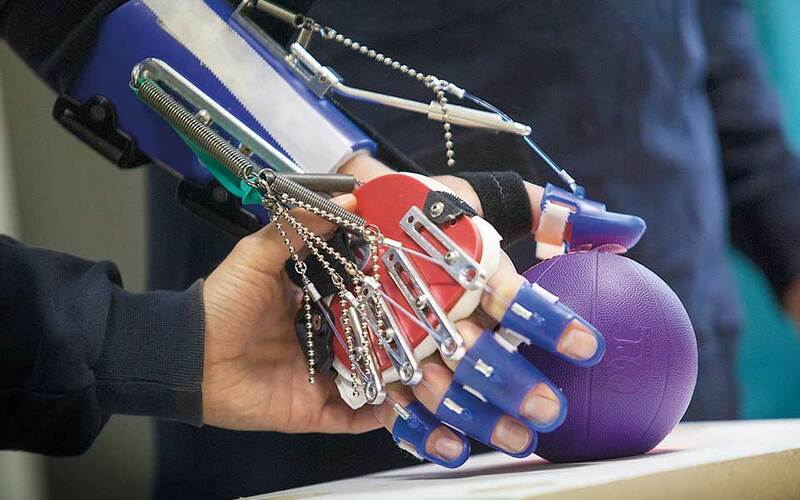 Information courtesy of the Union of Rehabilitation Centers Greece (EKAE) and Dr Christos Goumas, Physiatrist and Scientific Director of the physical rehabilitation center Euromedica-Arogi of Thessaloniki. Ophthalmology is the field of medicine that deals with the anatomy, physiology and diseases of the eye. It is one of the major specialties on offer in the context of medical tourism. Technological progress in this field, along with new advanced surgical techniques, have made it possible for almost all surgical procedures in ophthalmology (approx. 90 percent) to be performed without the need for hospitalization. This means it is even easier nowadays for patients to seek medical services in countries other than their own and to combine an opthalmological procedure with a vacation. Medical centers and clinics in Greece typically include an ophthalmology department, but most medical tourists seeking out ophthalmic procedures are likely to opt for one of the country’s day clinics, established under new laws in 2014. 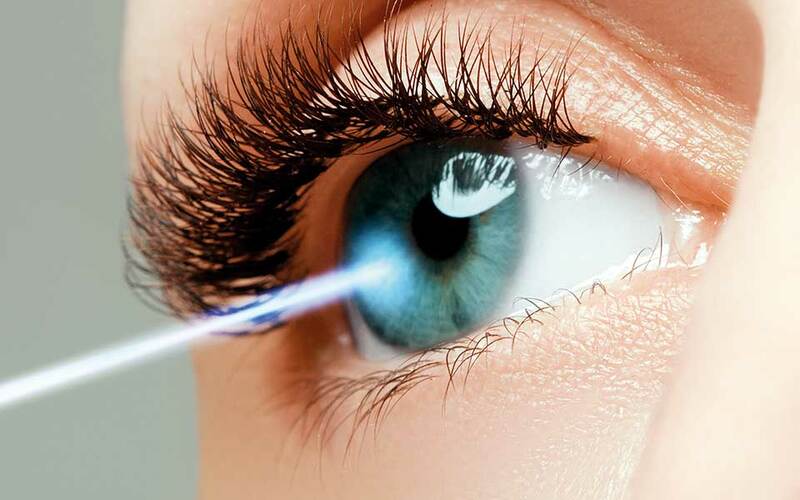 They boast cutting-edge equipment alongside expert ophthalmologists, opticians, optometrists and nurses, and can perform surgical procedures that require only a few hours of post-operative hospitalization. Their rates are quite competitive compared to those in other countries, making Greece one of the top destinations for ophthalmic treatments. Among the standard procedures on offer in Greek day clinics are excimer laser refractive surgery for the correction of myopia, hyperopia and astigmatism; cataract and glaucoma surgery; and treatment for age-related macular degeneration and for diabetic retinopathy. Some medical tourists may also seek out oculoplastic interventions, performed to correct an injury or done simply for esthetic purposes. According to a recent study, Greece could attract at least 100,000 medical tourists, in particular from the EU, southeastern Europe, Russia, the Middle East, the US and China within the next five years, and up to 400,000 patients within a decade. Greece’s high-standard services in ophthalmology could play an important role in shaping the country’s future as a medical destination. Information courtesy of Andreas Tourmouzis, ophthalmic surgeon and medical director at Athens Ophthalmic Day Clinic. 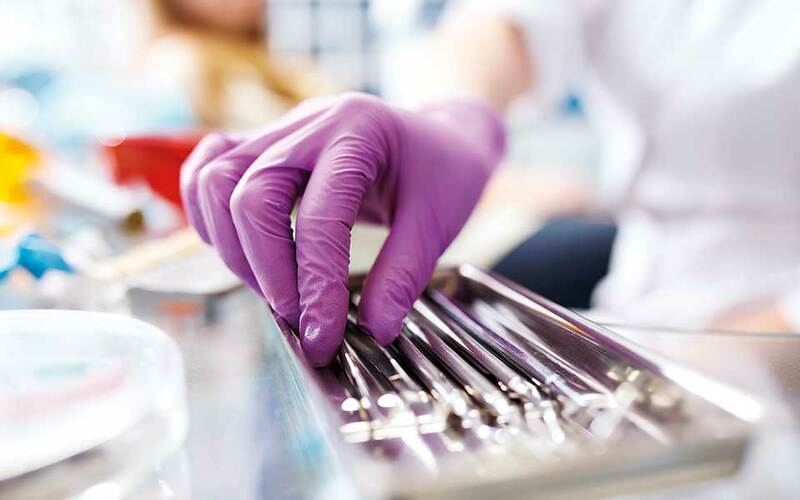 In recent years, a number of Greek dental clinics have become part of a dynamic branch of medical tourism, attracting not only Greeks living overseas who return for treatment but also patients from other countries, chiefly the UK, Belgium and Russia. The largest dental centers in this category are private and operate in Athens and Thessaloniki; there are fewer than a dozen of them, and they offer high-quality services at costs up to 50 percent lower than similar clinics in Europe and the US. Equipped with the very latest infrastructure (including advanced laser technology, robotic dentistry devices and dental microscopes) and enjoying both international recognition and quality-of-service certification to ISO standards, these centers offer the highest quality dental care at an affordable cost. There’s even a clinic for children with special needs, which has earned a fine international reputation by successfully undertaking even the most difficult dental cases. In addition to the actual treatment, the cost package that you are offered by these clinics may include transfers to and from the airport, accommodation at a good hotel, special arrangements for accompanying persons, and provisions for covering additional expenses in cases where more days are needed than those originally scheduled. And, of course, there will also be time for sightseeing and excursions. Treatment is generally of short duration, thanks to the simultaneous provision of care to the patient by a number of specialists. The clinics are manned by dental practitioners representing up to 10 different fields, including oral and maxillofacial surgeons, cosmetic dentists, implantologists and periodontists. Most of the dentists and other specialists at these centers have completed post-graduate training abroad, often in Scandinavia, North America or Australia, and many are dental care “veterans,” with experience spanning decades, who also collaborate with medical schools in Greece. Information courtesy of the Athens Dental Tourism Cluster. Every other year, kidney patients undergoing blood dialysis at Liège University Hospital take their vacation in Irakleio. They don’t choose it just because of the beautiful beaches, the amazing sights and the Mediterranean cuisine. After all, they couldn’t enjoy any of these if a hemodialysis unit didn’t operate there. Every two days, these tourists visit the local unit for blood dialysis, a process necessary to keep them alive. In Greece, hemodialysis tourists began appearing a few years after the first private Greek hemodialysis unit opened in a Cretan hospital in 2000. Nowadays, there are 62 active private units in the country. With specifications meeting European standards, they are ISO 9000 and 9001 certified, which ensures quality. Over the past 15 years, these units have attracted more than 20,000 foreign kidney patients; English, Dutch, Germans, Danes, Swedes, Italians and Belgians, as well as a few Americans and Australians. They prefer the Greek sun and the cheaper prices that Greece offers them over its main competitors, Spain and Turkey. Some come for a few days, others arrive during the off-season and remain for roughly five to six months. They often stay in popular tourist cities and islands, within or near the hemodialysis units. Using their accommodation as a base, they take short cruises and trips. Crete, Santorini, Rhodes, Kalamata and Meteora have all invested heavily in hemodialysis units, becoming key players in the medical tourism industry. “What did you do to her that improved her condition so much?” asks a Swiss doctor about his patient who returned home in much better shape after her trip to Irakleio. 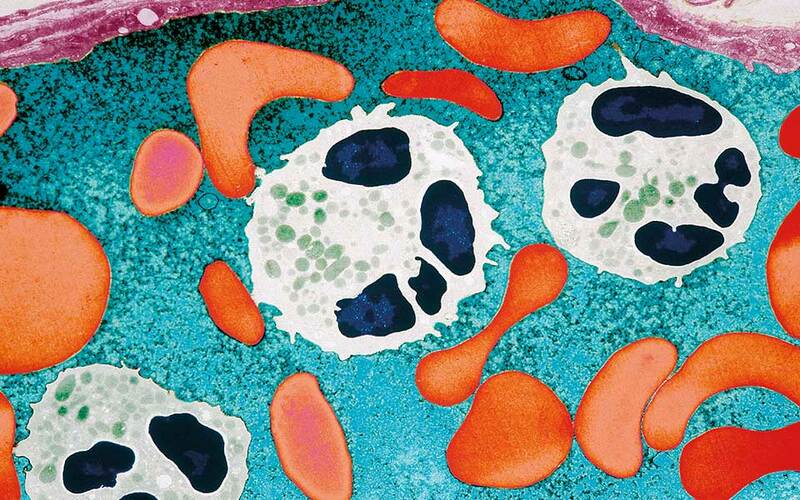 “The difference wasn’t in the dialysis method; the standards are the same as those followed elsewhere in Europe. It was the Greek climate, the good food, the sun and the sea that changed the mental well-being of this kidney patient,” says Nick Stathoglou, General Manager of MESOGEIOS Dialysis Centers, a medical group that, apart from its facilities in Crete, also has units in Athens, Kalamata, Halkida and Serres. In just 17 years, these centers have received more than 9,000 patients, most of them traveling with chaperones. For the most part, these private Greek hemodialysis units offer advanced medical services and, in addition to nephrologists, are also staffed with specialists such as cardiologists, pulmonologists and urologists; many also collaborate with social workers, psychologists and nutritionists. The units are usually linked to large public hospitals and are equipped with modern medical facilities in attractive surroundings. Some of them remind you more of hotels than clinics, with libraries as well as dialysis suites. On the other hand, if patients ask about sightseeing tours or other organized activities, they might be disappointed in the options on offer. There’s still a lot of room for improvement in creating medical tourism packages. However, most units are happy to handle simpler logistical matters such as transfers and accommodation for foreign patients. They also offer friendly prices to their patients’ chaperones. Information courtesy of Nick Stathoglou, General Manager of the MESOGEIOS Dialysis Centers Group. Safety, lower costs, spectacular aesthetic results, a great environment enhanced by the well-known pleasant climate of Greece, the possibility of short vacations in the Greek islands and the vibrant culture found in today’s Greece are only some of the compelling reasons someone should come to Greece to beautify him/herself and to look younger. Most Greek plastic surgeons have been trained at internationally accredited centers worldwide and have acquired the valuable experience needed for excellent performance in the medical tourism field. Some of the Greek plastic surgery clinics have ISO and TEMOS accreditation and are already renowned for both their international clientele and the high levels of after-treatment patient satisfaction they achieve. The most popular aesthetic plastic surgery operation in southern Europe is breast augmentation, followed by facial fillers and botox, liposuction and gluteoplasty, and other aesthetic treatments. For every procedure, there are specific mandatory pre-operative and the post-operative steps. Before any surgical operation or beautifying procedure is performed, a thorough discussion takes place with the patient. All details are reviewed, a medical history is taken and full preoperative clinical-laboratory tests are carried out to ensure the patient’s good health. All surgical operations take place in a fully equipped medical clinic in the presence of an experienced anesthesiologist. That way, the patient is taken to the operating room in complete tranquility. Post-operative instructions (and medication, when necessary) are given after each treatment. 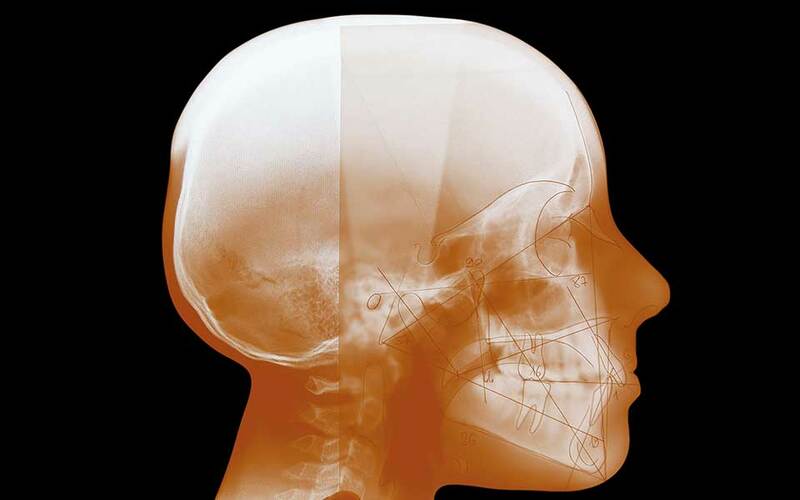 Depending on the procedure/operation, the patient remains in Greece from one to 15 days. Office procedures do not require post-operative follow-up. For one-day clinic procedures like liposuction, breast augmentation (2+1 triple-plane or 2+2 quadru-plane), the patient will usually be able to travel on the second or the third post-operative day. With more complex surgical operations, such as facelifts, the doctors will probably need at least 10 days for post-operative treatment. One of the best ways one can find out about aesthetic plastic surgery in Greece is through social media, where many doctors have a significant professional presence. Information courtesy of Ioannis Lyras MD, Director – 2nd Clinic for Plastic Surgery of Henry Dunant Hospital Center and Honorary Consul of Brazil in Greece.